We are pleased to announce that our Engineering Services Group has signed a $1.4 million contract to design and build a series of unmanned aerial vehicle (UAV) payload pods for Logos Technologies of Fairfax, Virginia under an AFRL/RI-sponsored contract. Called the Mission Payload Pod, MP-2, the lightweight payload pods are designed to support a 25-pound payload capacity per wing of the UAV. NTS has extensive experience creating payload pods for the UAV industry and NTS pods have flown on large and small UAVs and will soon fly on another small UAV. The MP-2 has been designed to accommodate a wide variety of payloads and heat loads to satisfy changing mission requirements in the field. Our test laboratories document compliance with all vibration, shock, environmental and EMI requirements. Design variants of the new MP-2 pod will satisfy the SWAP (size, weight and power) requirements for a wide range of applications, noted Belinda Guernsey, NTS Mechanical Engineering Manager. The MP-2 common pod is designed for conformance with MIL-STD-810G and ANSI/IEC 60529 (IP65) standards. The MP-2 is designed and manufactured in keeping with NTS’s Corporate Quality Manual and incorporates MIL-STD-1916 Acceptance Sampling procedures. For more information on the MP-2 or other payload pod designs, call John Derrig at 505 235.0089. NTS is attending the AUVSI (www.auvsi.org) conference this week in Orlando, Fla, Booth #243. 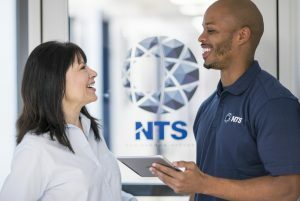 NTS Albuquerque is the center for NTS Engineering Services and provides the organization’s largest engineering services capability with mechanical, electrical, software, structural, analysis and systems engineers as well as experienced program managers. 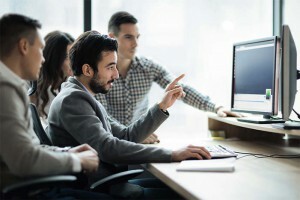 NTS Albuquerque provides access to a wide variety of knowledgeable engineering and manufacturing resources with expertise in requirements analysis and definition, preliminary design, system architecture development, analysis, risk analysis and mitigation, detailed design, fabrication, integration, and functional prove-out with application to a wide variety of both government and commercial customers.